Visage Weight Management Clinic offers you a medically supervised weight loss program, overseen by Dr. Kongsiri which adheres to Florida State Criteria. Our primary goal is to improve your overall health and get you to a healthy weight. We believe that the best way to achieve positive and healthy changes for weight loss is to make healthy lifestyle changes with confidence and not just diet. Introductory offer $99.00 initial visit and $55.00 weekly visit Refer a friend and receive 1 week FREE! Accountability: Accountability to yourself and to the program. 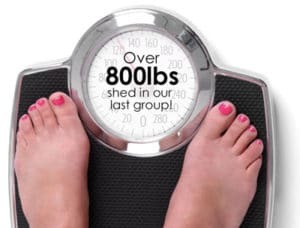 Patients are scheduled to weight in weekly; your weight loss results will be reviewed with you to include your overall fat percentage and more. We will help you to monitor your weight loss and navigate you in the right direction should you have a minor set-back. Patients are more likely to adhere to a dietary regimen if it is based on their own personal dietary choices rather than a diet selected by someone else. Weekly supply of a FDA-approved appetite suppressant, if qualified. Visage Weight Loss Clinic employs a comprehensive approach to optimizing your health to support you along this journey, helping you to improve your overall wellness, learn about disease prevention and focusing on your safety! Being overweight generally takes a toll on your overall quality of life. Often times, our patients report that they often find day-to-day activities such as household chores, standing for prolonged periods of time or walking up stairs to be more difficult. Chronic back pain and other medical conditions. Regardless of your weight, a healthy lifestyle, healthy food choices and exercise is imperative to reduce your risk for obesity-related complications. The weight loss program was amazing and the support from the staff was over the top. I felt like family. AND I lost over 50lbs! It works! What are the different program phases? What about Calories & Ketosis? Introductory offer $99.00 initial visit and $55.00 weekly visit. Refer a friend and receive 1 week FREE! Just fill out this short form and we will contact you to confirm!